Beverly Mae Donaldson, 85, passed away on Monday, January 25, 2016 after a gradual decline in health. She had community-acquired pneumonia which resulted in respiratory failure. She was surrounded and consoled by her loving friends Christina Brown and Mary Blanquette during the last days of her life. 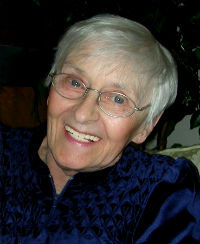 Having been in hospice care for two months prior to her death, Beverly died peacefully in her sleep. Beverly was born in Seattle, Washington on May 27, 1930. She earned her Bachelor of Science in Education/Elementary from North Texas State University in 1970 and her Master’s Degree in Arts & Education from Cal State University, Los Angeles in 1973. In 1974, Beverly worked for the Los Angeles Unified School District. Specifically, she worked with third graders at Lorena Street School, which she enjoyed greatly. She was a very kind and intelligent woman – beautiful both inside and out. Beverly was passionate about politics, music (she loved Frank Sinatra), interior design, real estate, and her doggies (Mocha, Latte, and Coco Chanel). Every time you saw Beverly out, she would be dressed in a stunning outfit with lovely jewelry. Her sense of style was also translated to her home, which was always exquisitely decorated. Not to forget, Beverly absolutely adored Paris as well. At about 70 years old, she took a trip to Paris – just her and her dog at the time, Coco Chanel. She ate at the best restaurants, stayed at luxury hotels, and explored the city’s many beautiful museums. She said it was one of the most amazing experiences that she would treasure for the rest of her life. Beverly was also a very generous and caring individual. She donated to many charities, such as the American Heart Association, to which she gave a large charitable gift in 2005. Furthermore, after years of owning an apartment complex in Santa Barbara, Beverly made the decision to donate it to the American Heart Association in a gift annuity. She was simply amazing. She has also donated her brain to the Brain Bank in Los Angeles for the sake of research. She always believed in the power of research and education, and wanted to do what she could to further the knowledge of humankind. Not only did Beverly have a very positive outlook on life, but she also had and a wonderful sense of humor, and was truly a joy to be around. Beverly Mae Donaldson will be missed immensely. One sister, Eleanor Gonzalez, one niece, Julie Gonzalez, and two nephews, Joseph Gonzalez and John Gonzalez, survive Beverly. A private Celebration of Life service will be held on February 14, 2016, at 9:00 am on the Sunset Kidd Ocean Cruise Sailboat.